(1): Choose Trending Topic: Choose trending topic its term refers to you that analyse your trending page that which topic is now leading the trending page open it and analyse that and choose the content of your video and for finding trending topics not only from YouTube you can also find trending topics on social media find in trending topics in social media is important tool to keep your channel in growth. Social media trends monitoring is very important for your channel in which you have to join several conversations in time to time finding trending topic in social media is a quickest way just like you have to analyse the trending page of YouTube you have to analyse on Instagram and Facebook visit several troll pages and analyse their troll topic and hence you will able to find your youTube video topic. Note: And never use clickbait for getting more views you too can give your community guideline Strike. For making attractive thumbnails you can use several photo editor just like Photoscape I personally tell you that I also photoscape. (3): Small Title : You have to use small title for YouTube videos that tell the summary of your video don't use very long titles because sometimes it's hidden by the youtube your whole big title is not shown by youtube that the viewer gets irritated and scroll down so always use small titles. (4) : Use Tags :YouTube has given the best features for ranking your YouTube videos is tags while uploading your video you get a column below the description tab for writing a tags in which you can write your tag that rank your video ok the main thing is that how can you find the ranking tags although indirectly google is providing the tags when you search incomplete text in the Google. Google completes it and show it to you that's it this is your tags copy it and paste to your tags coloumn. (5) : First 24 Hours : This time is very important for YouTube videos in which the YouTube algorithms give me chance to come in the trending page of YouTube in this time i'm you have to see your YouTube videos in social media are you can also use Google AdWords it is an advertising network provided by Google but it charges are pretty much high so I prefer you to share your YouTube videos in your social media accounts. (6): Replying Comments : If you are getting a single comment in your YouTube video try to reply it and tell the comments to subscribe your channel if you do this the main advantage is that you will think that this channel is active and will upload videos time to time so you too will also start promoting your channel. (7): Video Quality: And always remember to make the content quality full if your content doesn't have quality the viewers will not watch your full video the just open it and close it let's write that you will get views but not the watch time that is very important as per YouTube new policies in which you require at least 4000 hours watch time for your YouTube channel monetization. (8): Video Length: Make your video less than 10 minutes if it is not a educational course because rather than students there is no anyone who who has time to watch your lengthy videos so I prefer you to to make videos offline 5 to 6 minutes and the main time is 20 to 30 seconds in which you can attract your viewers for Watching Your Video atleast 60% Of Length Of video. Make Viral Video When generating videos, there are a couple of things you will need to bear in mind. Adding some humour to your video will increase your perspectives over a formal how-to tutorial. 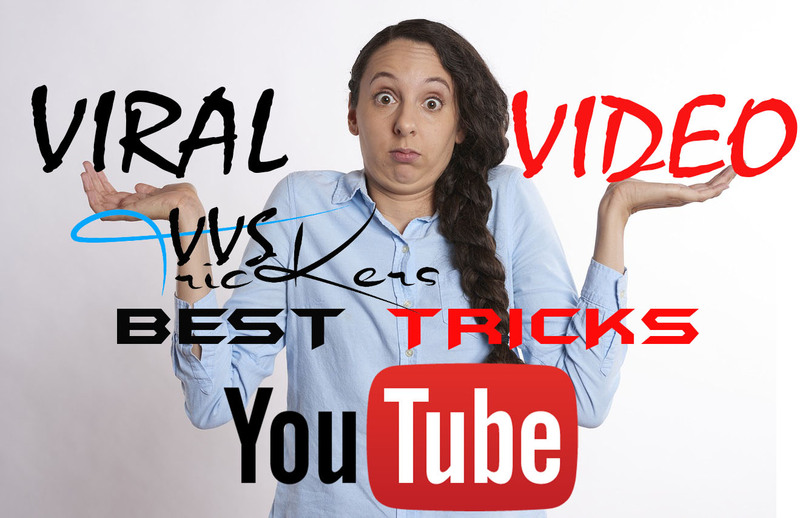 Creating your YouTube viral video a hit among the viewers it's not as hard as you may think. Sweet and Short - Most Web users have a 3-5 minute attention span, which means keep it within this span. Summarize your best pointers about your company or services. Be Organized - Even when you wish to add some humor to your YouTube video, you should be organized with your own thoughts. Without business, your viewers might laugh, but they certainly will not by from what seems like a scatterbrain leaping all over the place. Be Knowledgeable - Following the joking as well as the demonstration, you need visitors to visit your web site and buy from you, so you've got to seem educated in your niche market. Throw in some facts which will let others know you know your stuff. Leave a Lasting Impression - Because most audiences will not buy from you after viewing only one video, you'd like to create a lasting impression - as well as a positive one in that.